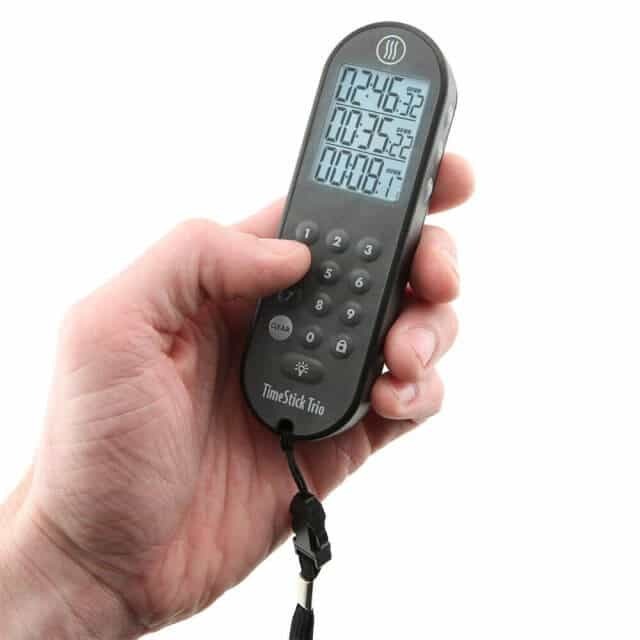 TimeStick Trio is the easiest-to-use triple timer in the world. Each of the three timers has its own display with its own Set and Start/Stop buttons. No confusion on how to set a timer, how much time is left or, which one is sounding! 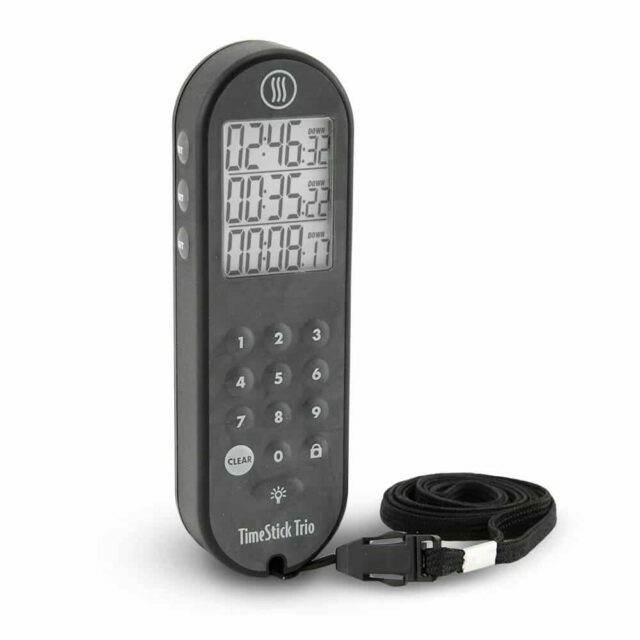 TimeStick Trio is a brand new product from ThermoWorks, on sale for $35.00 — or $30/each if you buy 5 or more. Buy the TimeStick Trio here.